First published in the CABI website. A multi-media campaign has helped CABI and partner agencies in Tanzania improve food security in Tanzania by encouraging thousands of farmers to adopt improved legume technologies including ways to produce healthier and more profitable crops of common bean and soybean. 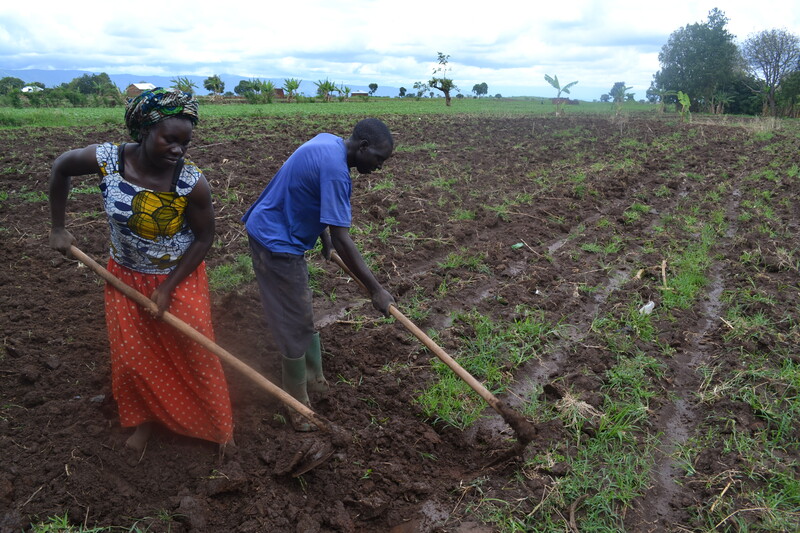 The collaborative project led by FRI, CABI and AFAP, funded by the International Development Research Centre, reached more than 600,000 farming family members during a 28-month campaign that included radio programmes, comics, social media, and text messaging. The project also benefited from matching funds from the BMGF funded ASHC project and UKAID funded GALA project.. Working in partnership with Farm Radio International, the Africa Fertilizer and Agribusiness Partnership and IITA/N2Africa, the consortium says more than 100,000 farmers are practicing one of the promoted legume technologies such as improved seed for common bean and a completely new inoculant seed treatment for soybean. The Scaling-up Improved Legume Technologies (SILT) campaign was delivered in the Northern and Southern Highlands of Tanzania and, after an extensive research process, demonstrates that a collaborative multi-media campaign can work to change farming practices and improve food security. James Watiti, Project Manager and Coordinator – Development, Communication and Extension at CABI, said, “The project set out in 2015 to explore whether working together on campaign-based communication and extension approach would make a significant contribution to our understanding of development communications for impact and scale. “The campaign approach gave farmers the chance to understand their options, but also express their needs – representing an integrated, responsive and mutually beneficial framework for progress. Overall, more than 17,000 radio listeners registered for soybean programmes through Farm Radio International’s Uliza system which allows farmers to access important messages and alerts, vote on poll questions, leave messages and request specific information. In addition, over 3,900 listeners registered for common bean programmes. Karen Hampson, of Farm Radio International, added, “Our partnership with CABI and AFAP on the soybean programming in the Southern Highlands provided access to an estimated potential audience of over one million listeners and overall production of soybean increased through collaboration with the Clinton Foundation. The project also found that, through the distribution of more than 7,000 comics aimed at teenagers, that young people’s attitudes to agriculture are now more aspirational with the next generation wishing to adopt more ‘farm smart’ strategies to ensure future food security.